Flightline Support Ltd (FSLUK) established in 1982, is an award-winning Oxfordshire, UK based manufacturer and exporter of aircraft refuelling solutions. 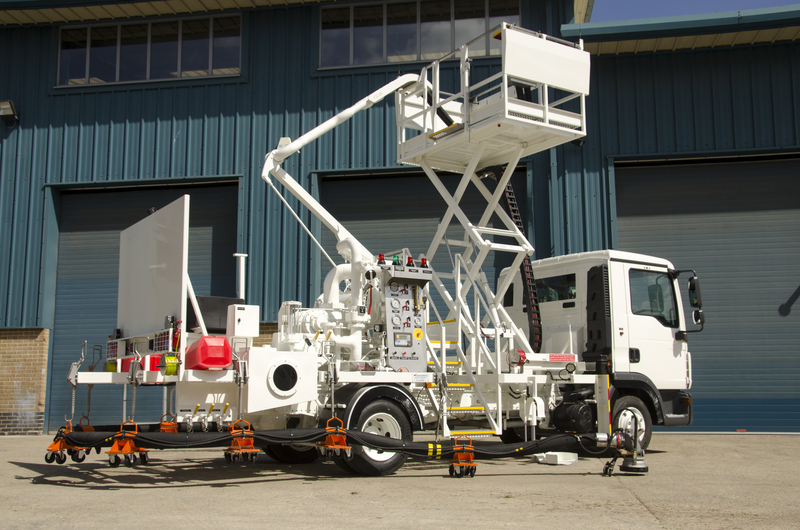 Our core business is the manufacturer of new aircraft refuelling vehicles and static refuelling systems as well as the maintenance, repair and refurbishment of existing equipment. We are a bespoke builder and our key focus is on producing the highest quality and most reliable equipment available, we will not compromise on this ethos and it is how we ensure ultimate customer satisfaction and repeat business from our extensive customer base. FSLUK are completely dedicated to excellence in all our activities. We produce a wide range of refuelling bowsers with capacities from 5000 – 60,000 litres and also a range of hydrant dispensers from low flow / low profile units for short haul aircraft up to 4000lpm units for refuelling aircraft such as Airbus A380 and Boeing 777’s. We also manufacture bespoke pump and filter skids. We have equipment in over 90 countries worldwide supporting aviation operations in Europe, Middle East, Africa, Asia and Australasia. Our customers range from private aircraft operators, air ambulance/police helicopters, international airlines, Into-Plane refuelling organisations and international oil companies. In January 2017, we launched the BTEC Advanced Diploma in Aviation Fuel, Storage and Handling Operations Level 3.